At Art Basel 43 Stevenson presented Africa and Abstraction, which looked at three artists from Africa who explored abstraction. This project, conceived for Art Basel Miami Beach, forms a second chapter. It zooms in on a very particular locale and time: the city of Johannesburg in the present day. Because of the twin forces of South Africa's isolation under apartheid, and a need to process politics and identity through the prism of art, abstraction was slow to gain traction with South African artists. In the last few years, however, we have witnessed a minor renaissance of abstraction, with Zander Blom, Nicholas Hlobo, Serge Alain Nitegeka and Robin Rhode, among others, exploring abstraction to varying degrees in their otherwise diverse practices. Jo'burg's industrial smell carries with it the energy, rhythm and vibe of the city that goes a long way to inspire workmanship and more ... The long and broad highways, complex flyovers, elaborate use of cast concrete on roads and skyscrapers, and the grid layout of the city centre ... I like structure, especially when it is rational and beautiful. 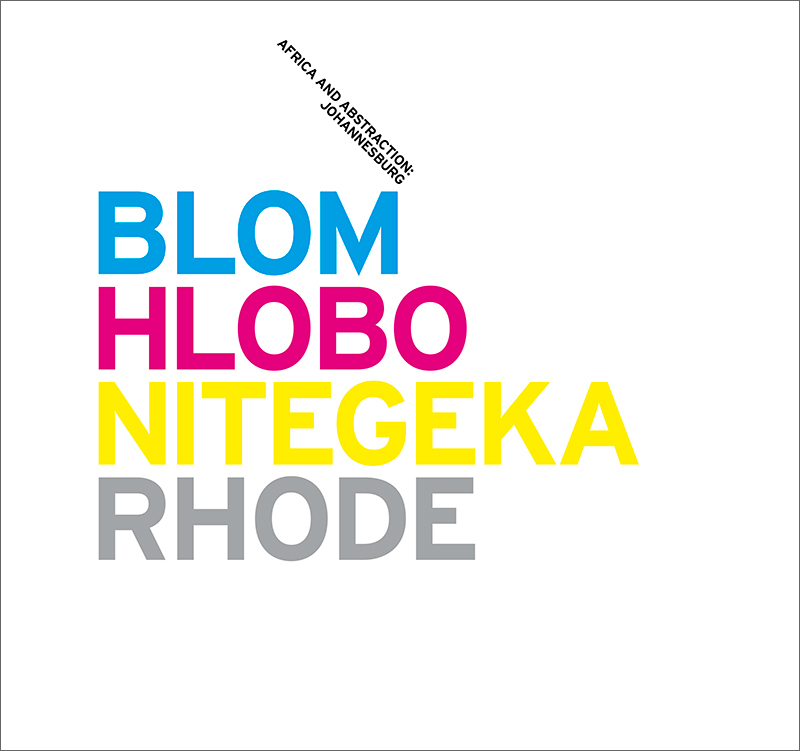 Blom writes: 'I live in Johannesburg because I want to make work that feeds off the energy of this city.' The same is true for Hlobo. Both rarely travel, in large part because they need the madness of Johannesburg to keep them sane. The studios of Nitegeka, Blom and Hlobo are all within a few miles of each other. Rhode, on the other hand, left Johannesburg to settle in Berlin. Yet he still makes the majority of his photographic and video work in Johannesburg, on walls not far from the studios and homes of the other three artists. Like them, he points to the energy of Johannesburg as an essential fuel for his work - spanning both the performativity for which he is best known and the recurrent thread of abstraction that runs through his work. The catalogue features in-depth interviews with each of the artists: Blom interviewed by Odili Donald Odita; Hlobo by Hans Ulrich Obrist; Nitegeka by David Brodie; Rhode by Joost Bosland.